Visual Studio Code>Themes>LasersNew to Visual Studio Code? Get it now. An Outrun theme with italics, based on the popular GMK Laser keycap set from MiTo. A VSCode Outrun theme with italics, based on the popular GMK Laser keycap set from MiTo. 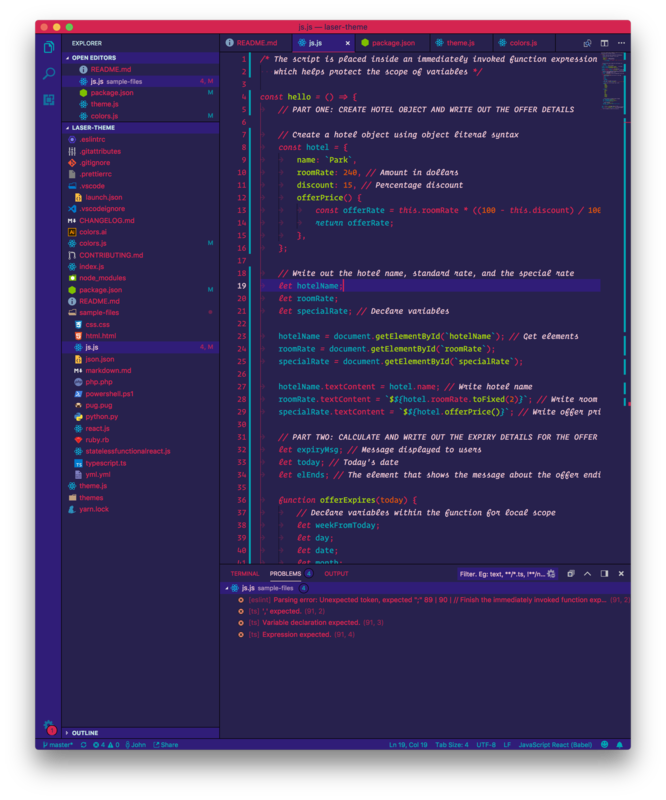 This is my first VSCode theme, so please let me know if something feels off, or if you have a recommendation! Pull Requests gladly accepted! See CONTRIBUTING.md for more info.